Data deleted, formated or asking formate, no drive is seen in My Computer, Partition missing, Hard drive is not detecting at all etc. are the crucial time for your data. Please be careful, data can be lost permanently any time. You have to handle the situation cautiously and immediately. Media like external and internal Hard Disk, Memory Card, Pen Drive, DVR, CF Card or UDMA Card. M/s. Mandira Tech is the only Data Recovery service provider in North-East India can recover data from all type of storage media. Data recovery from both logical and physical crash is done here. Recover the lost photos and videos of your special moment, practicing important projects, study materials, office account data etc. in a safe and secure environment. Know more..
Detecting the root cause of defect of an apparatus like desktop-laptop motherboard and fixing the problem is the chip-level engineering in IT. 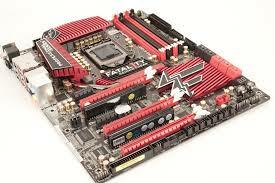 Laptop and desktop motherboard, printer logic board, power board, display unit etc. repairing done here. Know more..
Mandira Tech is the only hard disk repairing center in North-East. Well equipped with tools and technology for repairing External and internal both laptop and desktop hard disk. 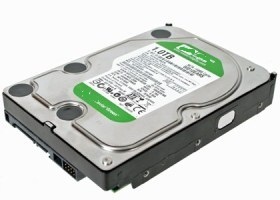 Contact for repairing hard disk from all brands Seagate, Western Digital, Toshiba, Samsung etc. Know more..
M/s. Mandira Tech is the Authorized Laptop Service Professional in Guwahati and provides service of almost all brand of laptop motherboard of HP, HCL, Lenovo, Compaq, Dell, Toshiba, Acer, Asus, Samsung, Wipro and Sony Vaio and the online store of laptop accessories. 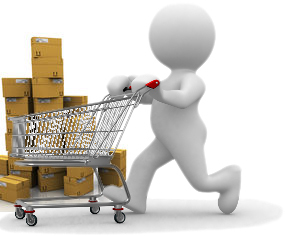 Shop online for laptop Motherboard, laptop Battery, Charger, LCD/LED screen, Keyboard, Heat sink, Hinges, Casing etc. in reasonable price. Know more.. 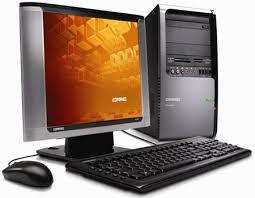 Contact for AMC service for Desktop, Laptop, UPS, Printer and Networking. AMC service with inspection is the new concept of AMC service introduced by Mandira Tech. This is a type of preventive maintenance to reduce the breakdown of your entire system, networking and less disturbance during your working hour on system. 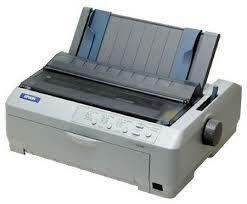 Know more..
Dot-matrix and Laser printer service center in Guwahati. Contact for printer problem like paper jam, poor print quality, dark print, print head stuck, logic board burnt, scanner not working, errors messages in control panel, anonymous blinking of the indicators etc. Know more..
Shopping laptop charger, keyboard, battery, LCD/LED screen, motherboard, hard disk, hinges, casing, heat sink, optical DVD drive, video/VGA cable etc. is made very easy by M/s Mandira Tech. Safe and multimode online payment systems provided by the State Bank of India. On time delivery with 30 Day Money Back Guarantee. Go here for Online Shopping. Searching for: Laptop repairing center, Laptop repairing center in Guwahati, Laptop service center,Laptop Motherboard,Laptop Motherboard Repair, Laptop servicing center in Guwahati, Laptop servicing in Guwahati, laptop repairing in Guwahati, laptop service Center in Guwahati. Acer Service Center in Guwahati, Acer Laptop repairing center, Guwahati Acer Laptop service center, Guwahati Acer service center,Acer Laptop repairing center in Guwahati, Acer Laptop service center, Acer Laptop Motherboard Repair, Acer Laptop servicing center in Guwahati, Acer Laptop servicing in Guwahati, Acer laptop repairing in Guwahati, Acer Laptop. Asus Service Center in Guwahati, Guwahati Asus Laptop service center, Guwahati Asus service center,Asus Laptop repairing center, Asus Laptop repairing center in Guwahati, Asus Laptop service center, Asus Laptop Motherboard, Asus Laptop Motherboard Repair, Asus Laptop servicing center in Guwahati, Asus Laptop servicing in Guwahati, Asus laptop repairing in Guwahati, Asus Laptop. Compaq Service Center in Guwahati, Guwahati Compaq Laptop service center, Guwahati Compaq service center, Compaq Laptop repairing center, Compaq Laptop repairing center in Guwahati, Compaq Laptop service center, Compaq Laptop Motherboard, Compaq Laptop Motherboard Repair, Compaq Laptop servicing center in Guwahati, Compaq Laptop servicing in Guwahati, Compaq laptop repairing in Guwahati, Compaq Laptop. Dell Service Center in Guwahati, Guwahati Dell Laptop service center, Guwahati Dell service center, Dell Laptop repairing center, Dell Laptop repairing center in Guwahati, Dell Laptop service center, Dell Laptop Motherboard, Dell Laptop Motherboard Repair, Dell Laptop servicing center in Guwahati, Dell Laptop servicing in Guwahati, Dell laptop repairing in Guwahati, Dell Laptop. Lenovo Service Center in Guwahati, Guwahati Lenovo Laptop service center, Guwahati Lenovo service center,Lenovo Laptop repairing center, Lenovo Laptop repairing center in Guwahati, Lenovo Laptop service center, Lenovo Laptop Motherboard, Lenovo Laptop Motherboard Repair, Lenovo Laptop servicing center in Guwahati, Lenovo Laptop servicing in Guwahati, Lenovo laptop repairing in Guwahati, Lenovo Laptop, Lenovo Motherboard Guwahati, Lenovo motherboard. Samsung Service Center in Guwahati, Guwahati Samsung Laptop service center, Guwahati Samsung service center,Samsung Laptop repairing center, Samsung Laptop repairing center in Guwahati, Samsung Laptop service center, Samsung Laptop Motherboard, Samsung Laptop Motherboard Repair, Samsung Laptop servicing center in Guwahati, Samsung Laptop servicing in Guwahati, Samsung laptop repairing in Guwahati, Samsung Laptop, Samsung Motherboard Guwahati, Samsung motherboard. Sony Vaio Service Center in Guwahati, Sony Vaio Laptop repairing center, Sony Vaio Laptop repairing center in Guwahati, Sony Vaio Laptop service center, Sony Vaio Laptop Motherboard, Sony Vaio Laptop Motherboard Repair, Sony Vaio Laptop servicing center in Guwahati, Sony Vaio Laptop servicing in Guwahati, Guwahati Sony Laptop service center, Guwahati Sony service center, Sony Vaio laptop repairing in Guwahati, Sony Vaio Laptop, Sony Vaio Motherboard Guwahati, Sony Vaio motherboard, Sony Service Center in Guwahati, Sony Laptop repairing center, Sony Laptop repairing center in Guwahati, Sony Laptop service center, Sony Laptop Motherboard, Sony Laptop Motherboard Repair, Sony Laptop servicing center in Guwahati, Sony Laptop servicing in Guwahati, Sony laptop repairing in Guwahati, Sony Laptop. Toshiba Service Center in Guwahati, Guwahati Toshiba Laptop service center, Guwahati Toshiba service center, Toshiba Laptop repairing center, Toshiba Laptop repairing center in Guwahati, Toshiba Laptop service center, Toshiba Laptop Motherboard, Toshiba Laptop Motherboard Repair, Toshiba Laptop servicing center in Guwahati, Toshiba Laptop servicing in Guwahati, Toshiba laptop repairing in Guwahati, Toshiba Laptop, Toshiba Motherboard Guwahati, Toshiba motherboard. Wipro Service Center in Guwahati, Guwahati Wipro Laptop service center, Guwahati Wipro service center, Wipro Laptop repairing center, Wipro Laptop repairing center in Guwahati, Wipro Laptop service center, Wipro Laptop Motherboard, Wipro Laptop Motherboard Repair, Wipro Laptop servicing center in Guwahati, Wipro Laptop servicing in Guwahati, Wipro laptop repairing in Guwahati, Wipro Laptop, Wipro Motherboard Guwahati, Wipro motherboard. Searching for: Epson authorized printer service center Guwahati, Epson Printer Repairing Guwahati, Epson Printer Service Centre Guwahati, Epson Laser Printer repairing in Guwahati, Epson inkjet printer repairing in Guwahati, Epson Printer Servicing center, Epson Service Center, Epson dotmatrix printer service center, Epson dm printer service center guwahati. HP Printer Repairing Guwahati, HP Printer Service Centre Guwahati, HP Laser Printer repairing in Guwahati, HP inkjet printer repairing in Guwahati, HP Printer Service center. Canon Printer Repairing Guwahati, Canon Printer Service Centre Guwahati, Canon Laser Printer repairing in Guwahati, Canon inkjet printer repairing in Guwahati, Canon Printer Service center. Samsung authorized printer service center Guwahati, Samsung Printer Repairing Guwahati, Samsung Printer Service Centre Guwahati, Samsung Laser Printer repairing in Guwahati, Samsung inkjet printer repairing in Guwahati, Samsung Printer Service center.